As an expert in all things carbon, American Carbon Company regularly meets the needs of specialty customers with application specific carbon fibers and carbon fiber composites. Sometimes called carbon-carbon composites, these materials combine the rigidity and strength of carbon fiber with the advanced thermal properties of graphite. While other materials can be substituted for the graphite (such as silicon carbide or boron), we prefer to focus on graphite composites as that is our primary focus. Carbon fiber by itself is an extremely strong material. 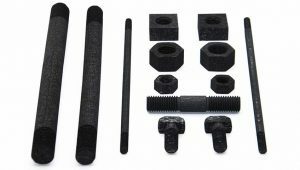 The addition of graphite makes it much more dimensionally stable and less susceptible to thermal history breakdown in the strength of the part. While we have a number of standard grades listed below, the best way we find to help our customers is to discuss their specific needs and developing a custom product specific for their application. To discuss our carbon fiber composites in more depth, please call or contact us. *The above data is representative and actual product testing will be verified upon order requirements.